Horses with Hearts began as a simple dream – helping one horse lover get back on a horse after life-saving cancer surgery left her blind and robbed her of her motor skills. The horse lover in question was Lindsey Connelly, a young girl who refused to give up on her dream. When she met Lindsey in 1999, Kay Barkwill was touched by her love of horses and her determination to ride again; Kay became just as determined to get Lindsey back on a horse. She teamed up with Cathy Dodson, a thoroughbred riding instructor. Together, they began researching what they would need to make Lindsey’s dream come true. 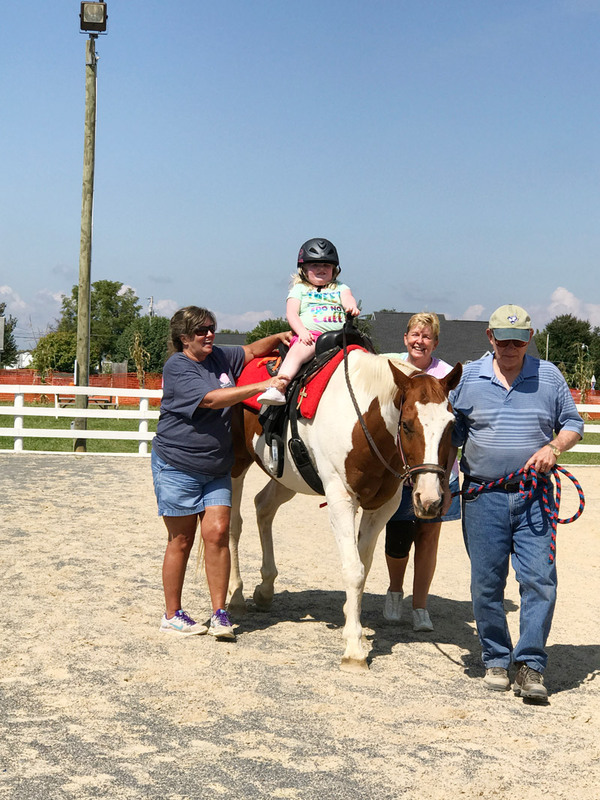 Even though Lindsey’s family moved away, Kay and Cathy continued working towards the goal of getting her back on a horse. Unfortunately, Lindsey passed away before they could give her her miracle. But, they found a way to keep Lindsey’s dream alive by sharing it with others. 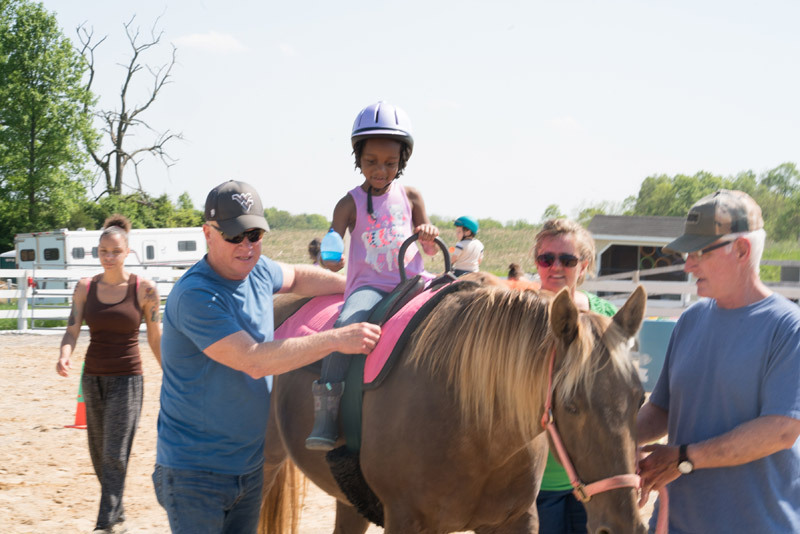 This dream became Horses with Hearts, a not-for-profit center that provides equine activities for individuals with special needs. In many cases, the parents of a special needs child are told what their child will never be able to do. Horses with Hearts takes that list and helps people with special needs, find another way. “Because a horse’s stride is close to a human stride, it engages the rider’s core,” Kay explains. For children who have to wear braces to stand, they have no real way to exercise. 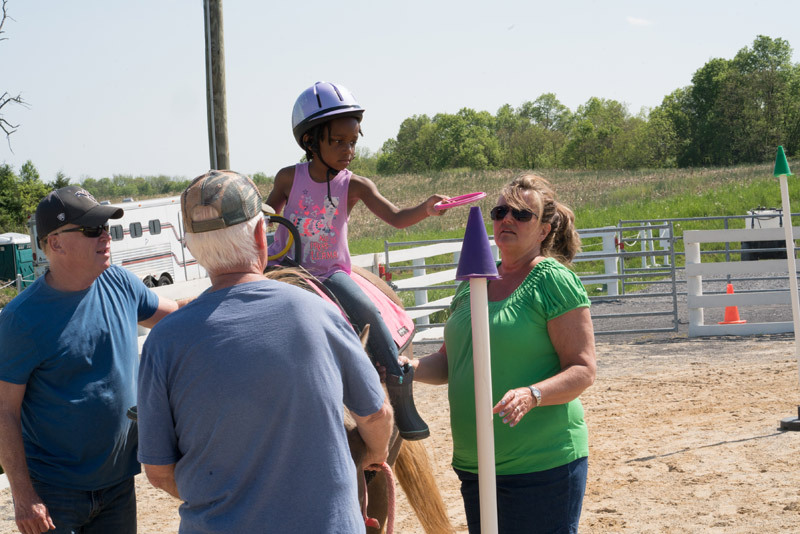 By engaging their core, horseback riding gives them the strength they need to walk. And the changes don’t just stop there. The volunteers at Horses with Hearts are reminded just how blessed they are. They are witnesses to, and part of, changing lives. When you can come out and work with the horses, it changes your life. When you’re disabled, and the world becomes a list of “you can’t,” working with a horse brings something normal and beautiful into your life. When you volunteer, you become a part of this miracle, and you get to witness the profound changes people experience. “We work with one rider at a time, and each rider has a horse that they ride,” Kay explains. Working with the horses also builds confidence and has broken through some barriers where nothing else worked. If you have ever worked with a non-verbal person, you know: this is huge. Research has shown that time on a horse can be calming and relaxing for people with ADHD and/or on the Autism Spectrum. Smiling she finished the story; it seems that a few weeks later, she found out that it was the first day that particular student didn’t have to be sent home for being combative. They have worked with individuals with Autism, ADHD, amputees, veterans, people who are emotionally challenged and people who are physically challenged. And the horses have changed their lives. Horses with Hearts is still seasonal; having no indoor facilities means they are limited by weather. When they first started, Horses with Hearts boarded their horses at Pleasant Ridge in Arden Nollville. In 2012 they moved to Homestead on Thatcher Road, but they still didn’t have indoor facilities. In 2014, Trinity Methodist Church of Martinsburg donated over 30 acres of land to them so they could build their center and they have been working on designing the facilities to better serve the community. One of the first things on the list is a proper handicapped bathroom, with private, adult sized changing tables so that their clients can function with privacy and dignity. They need to build a climate controlled riding area so visitors can work with the horses year round. Their time at Homestead showed them what they needed, and the dream has grown. Ultimately, they want to have classrooms for training, therapy, and office space. “Our ultimate goal is to service 250-300 people a week,” Kay says. And this is just in the planning stages. They need an architect to design the facilities, and they need funding to make it happen. “We estimate that it will take a million and a half dollars to make it happen,” Kay adds. Our mission is to achieve the following goals through equine assisted activities to individuals of all ages with any type of special need. Increase muscle strength, flexibility, and coordination. Encourage positive emotional behavior and social interaction. Improve memory, speech and learning skills. Provide a sense of accomplishment and responsibility. Promote an overall sense of well-being. Provide an atmosphere full of fun! Horses with Hearts wants to do more than provide horses and trained handlers. They are working to build mental health facilities on site and getting the proper certification to offer more assistance to the community.